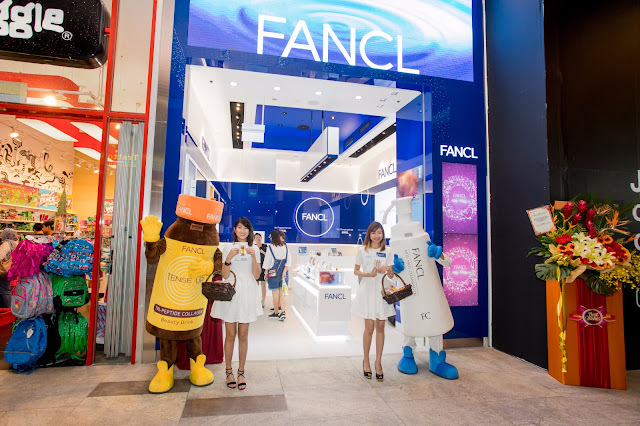 Ever since my media junket to Hong Kong to learn more about FANCL, I always felt that I know this beauty brand more than any other brands that I've tried. It shouldn't sound new to most people that FANCL is a no preservatives brand from Japan. And because of this, I've always been loving both their skincare line and food supplements, for both outer and inner beauty. To me, skincare only takes care of the skin but what's also important is our health being as well as inner beauty! 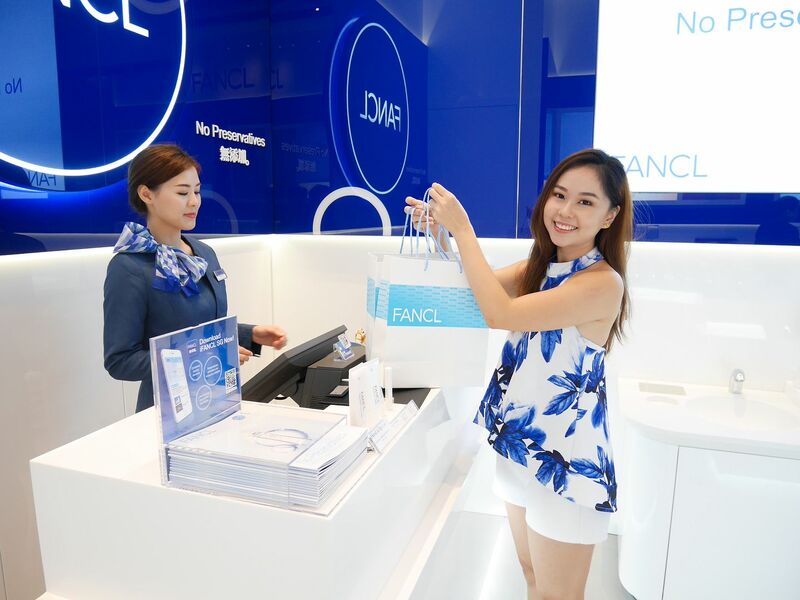 I'm also excited to share with you that FANCL has opened its first flagship store in Singapore, and it's located in middle of town at 313@somerset! Let's see what you can find in this new FANCL flagship store! 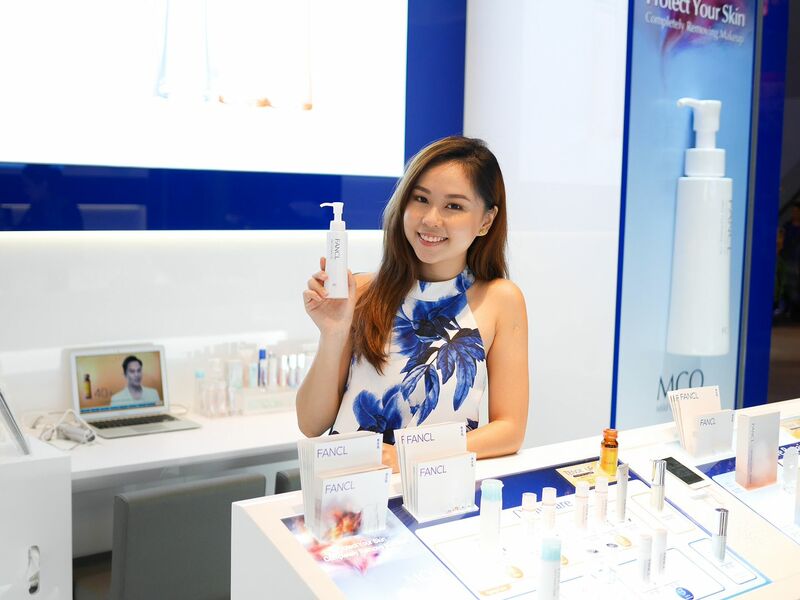 It's important to know what your skin really needs and eventually finding the right products for it. 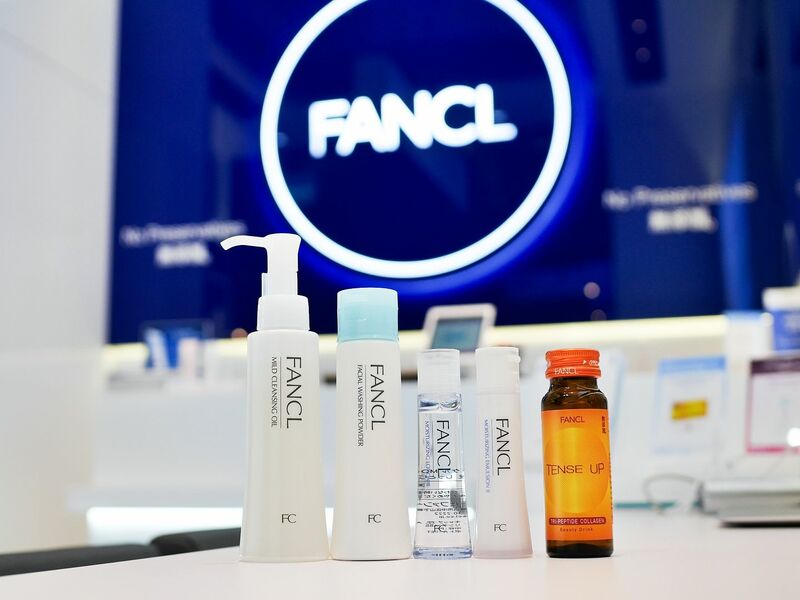 That's why, FANCL offers complimentary skin diagnosis at any of the FANCL Counter or Stores. 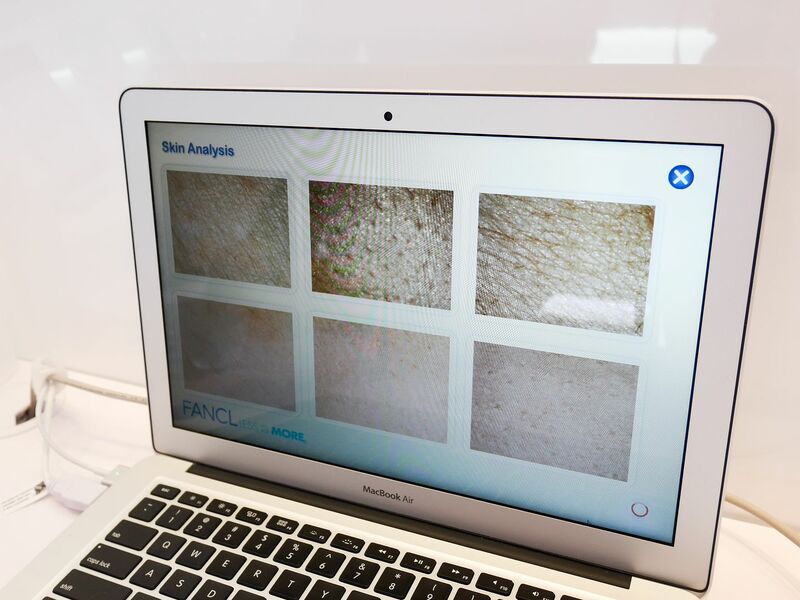 The whole skin diagnosis session takes just less than 15 minutes! 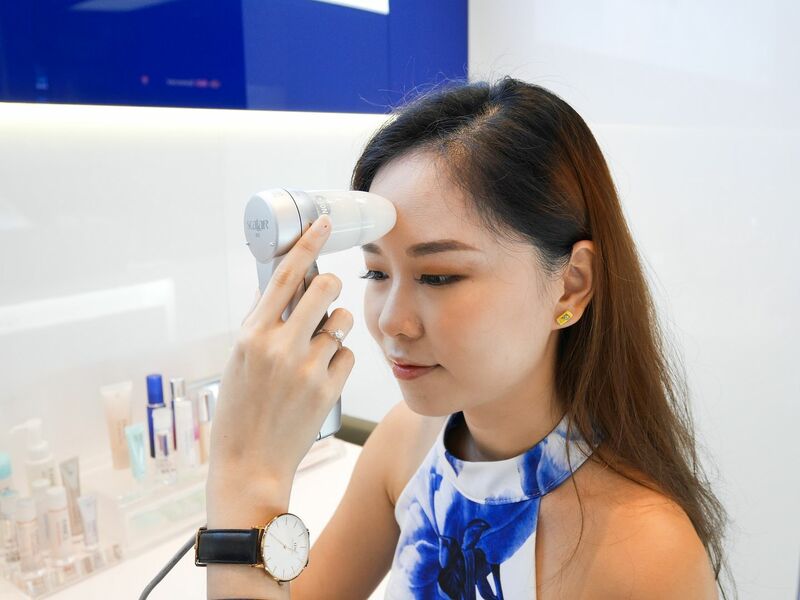 First, the skin diagnosis checks on the skin layers deep down and analyze for dead skins, Pore Size, Skin Texture, Elasticity , Firmness and dark spots. 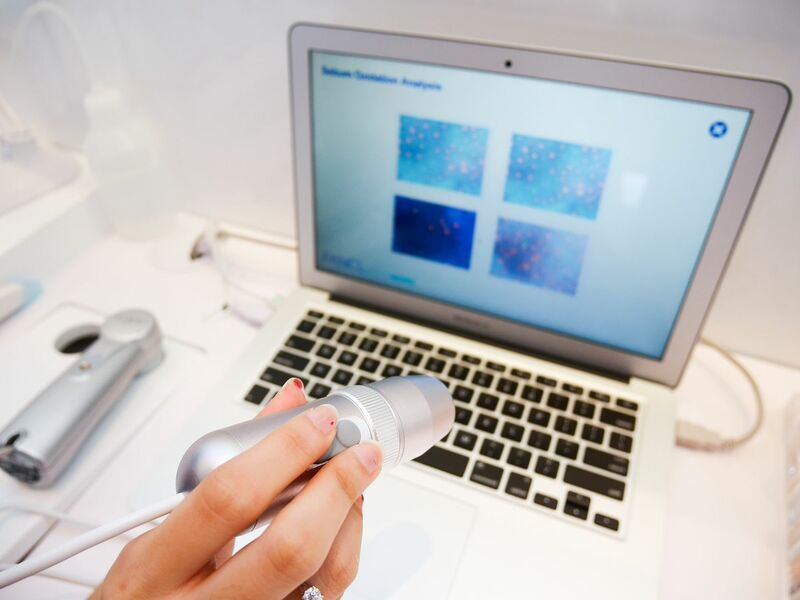 This tells you the 'age' of your skin, and the type of skincare that your skin needs. 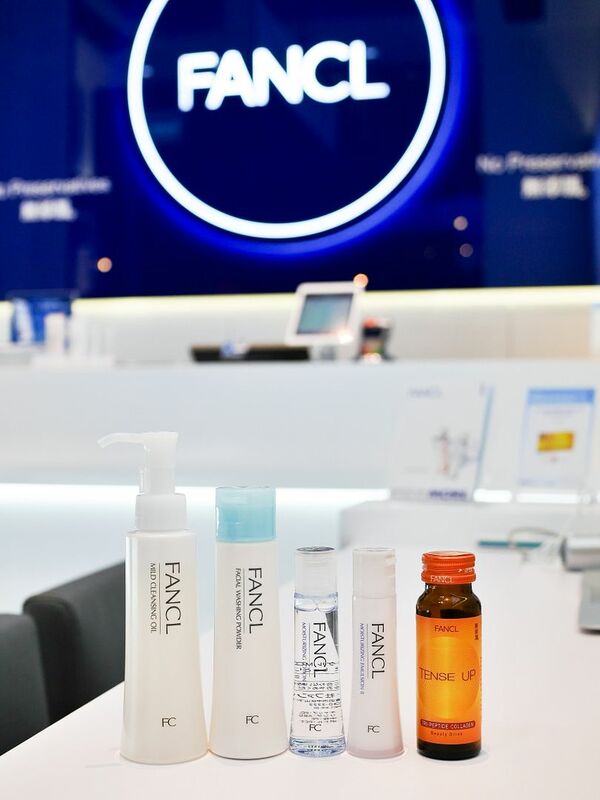 PS: FANCL tense up will help tremendously in building up collagen structure in your skin for youthful supple look! 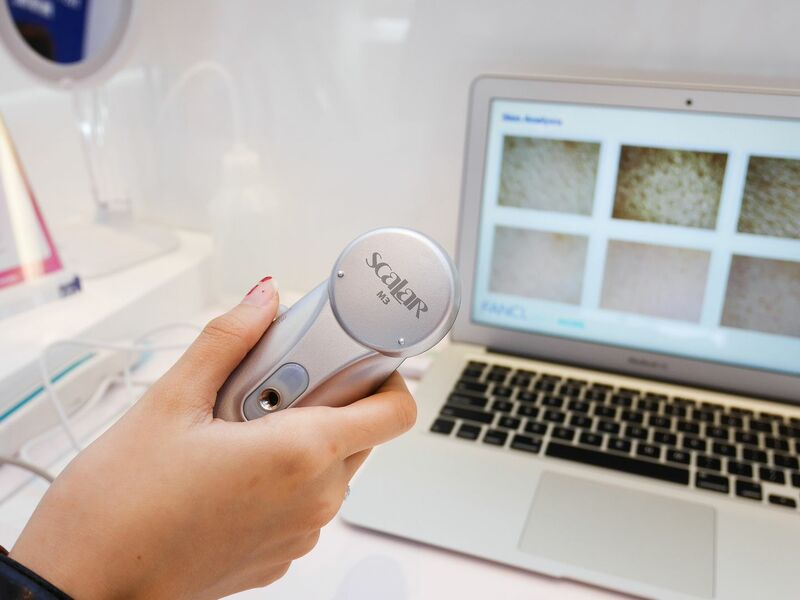 Moving on to the UV Pore Scanner that does Sebum Oxidation analysis, it helps to determine how clogged your pores are. See those orange dots on the screen? Those are blackheads/whiteheads! Areas like the nose are the common areas that are most congested! 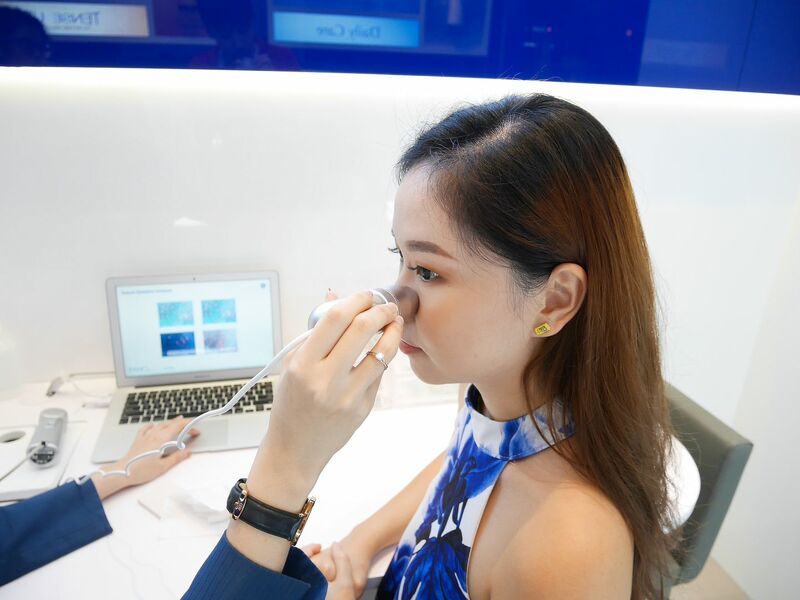 For myself, I can already see that my nose has very bad congestion problem. 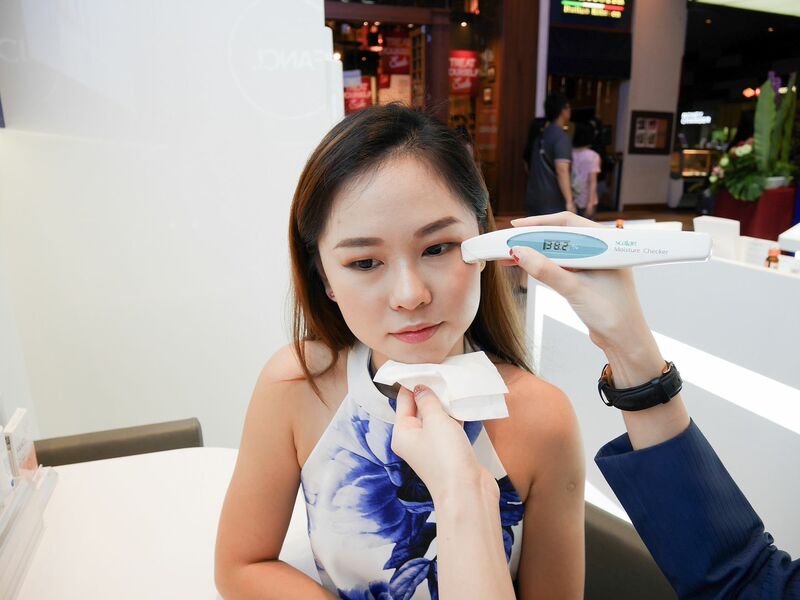 The pores are heavily congested and clogged, hence the appearance of blackheads and whiteheads. With this kind of issues, FANCL Pore Cleansing Pack can help to clear dirt, dissolves blackheads and unclog your pores. 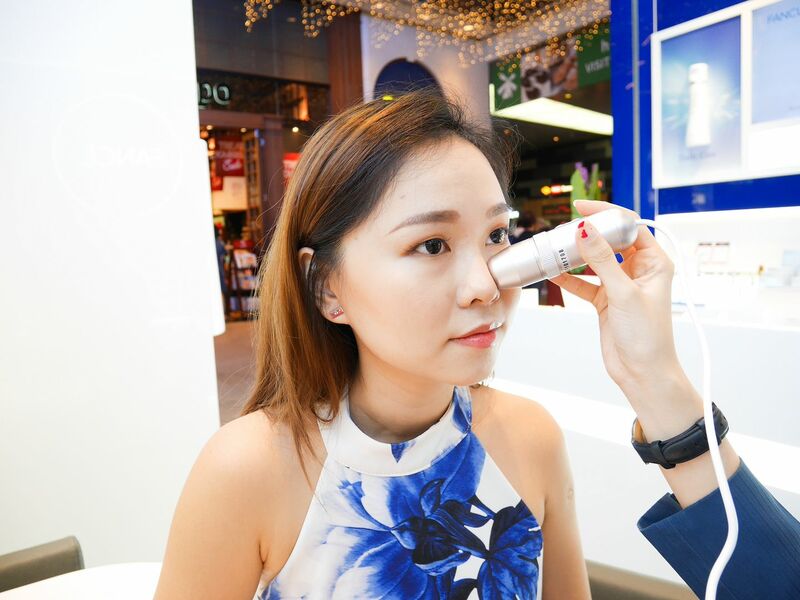 Finally checking my skin's moisture level with the Moisture Checker. The ideal range for cheeks is 36-40%, while eye area is 34-40%. Looks like my result is a pretty decent one! 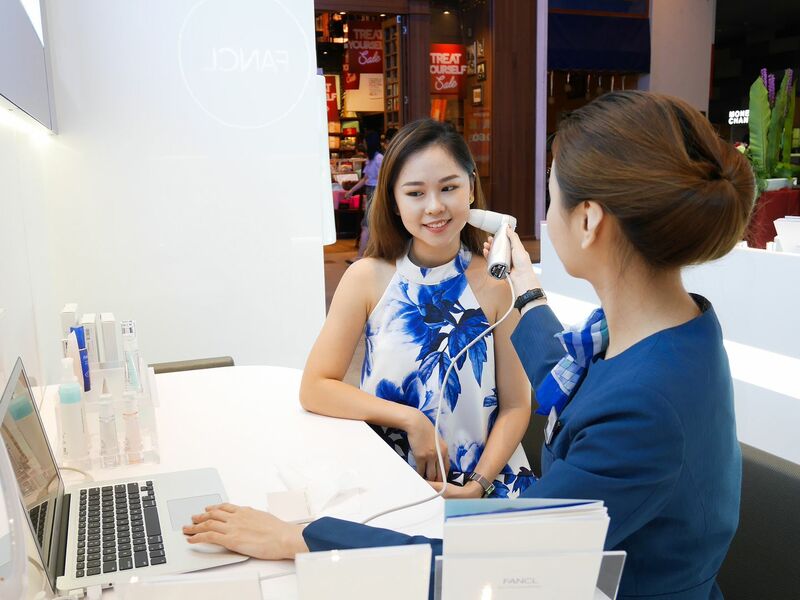 After the skin diagnosis experience, Beauty Advisor will also be there to explain to you any doubts you may have, as well as the recommended products for your skin. My favourite? The basic skincare - Moisturizing Line of course! They are namely the Lotion and Emulsion. 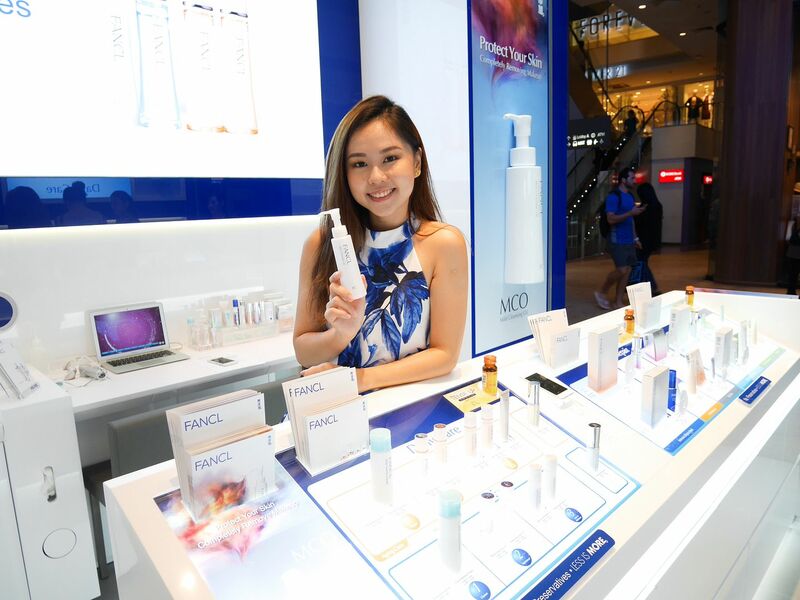 From left: FANCL Mild Cleansing Oil, Facial Washing Powder, Basic Skin Care – Moisturizing Line (MO Lotion, MO Emulsion) and Tense Up Collagen Drink. 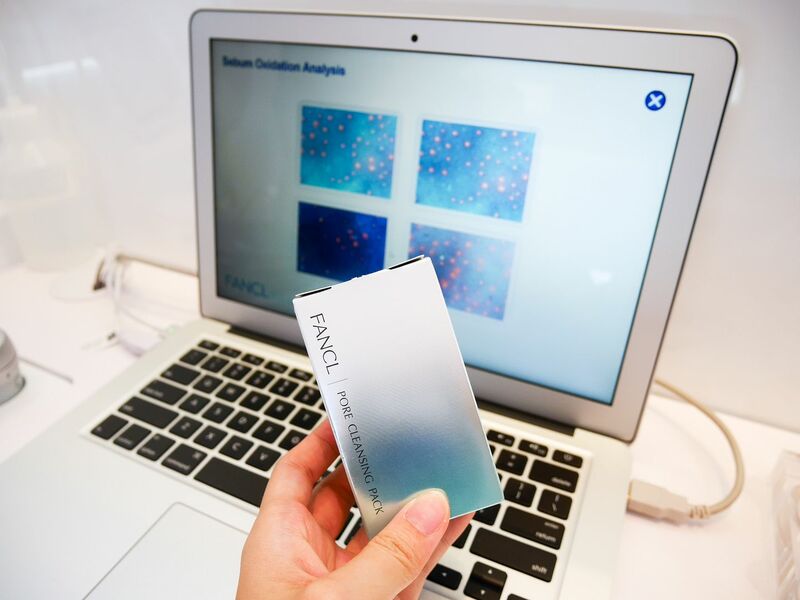 You see, the beauty about FANCL products is it’s 100% preservative-free products. Did you also notice the small bottles packaging of each products? That is because FANCL wants each drop of the product to be delivered at its freshest. 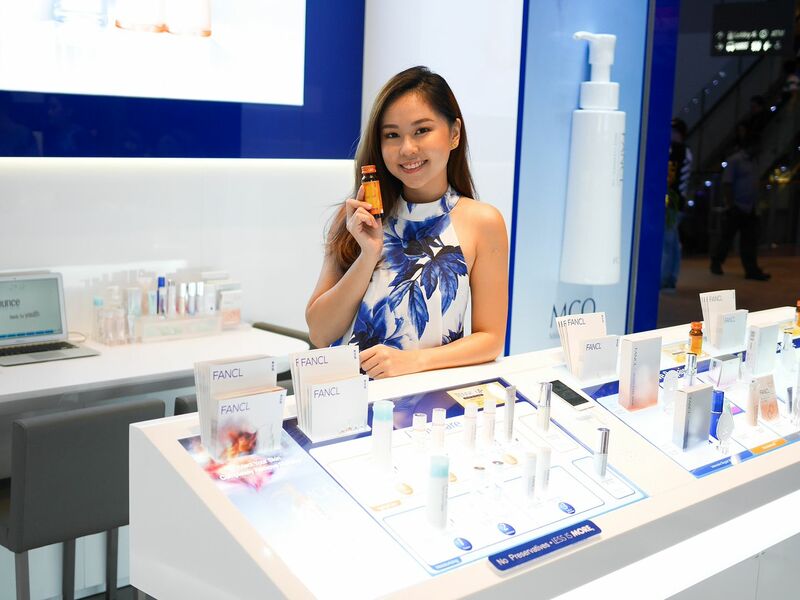 The size of products ensures that customers can finish the products within the golden period of 60-90 days which is at the optimum efficacy that the active ingredients can deliver. Each product is also hermetically sealed to prevent contamination. Likewise, you will also notice that all FANCL products have their Production Date clearly printed. Through this, you are well-aware of how fresh each product is! So now you are wondering, what's so bad about preservatives on our skin? Most people try to avoid consuming food that has too much preservatives in them because we subconsciously know that preservatives are harmful to our body. That applies to our skin too! Preservatives can cause stress to our skin, and the adverse effects can be similar to smoking in the long run such as premature aging, loss of skin elasticity and the production of melanin (leads to dark spots). Doesn't sound nice to me for sure. 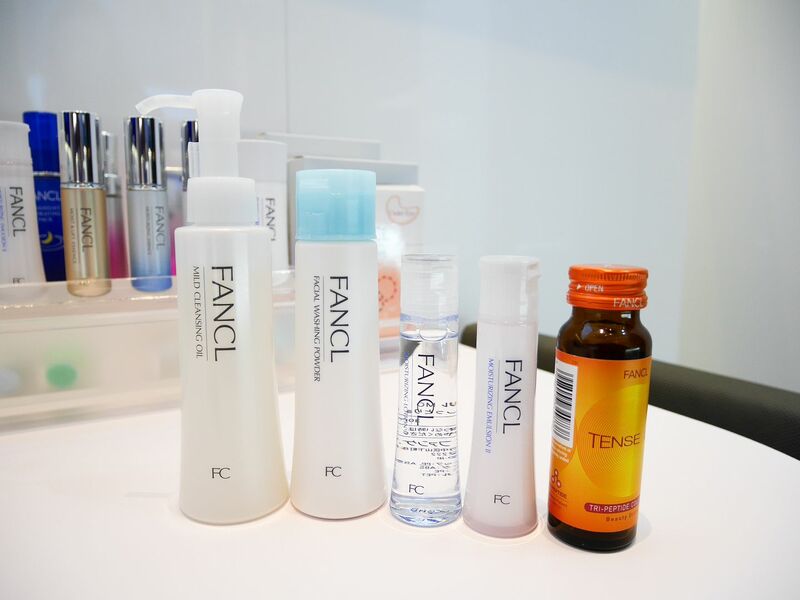 Drink FANCL Tense up every day for supple, bouncier skin! 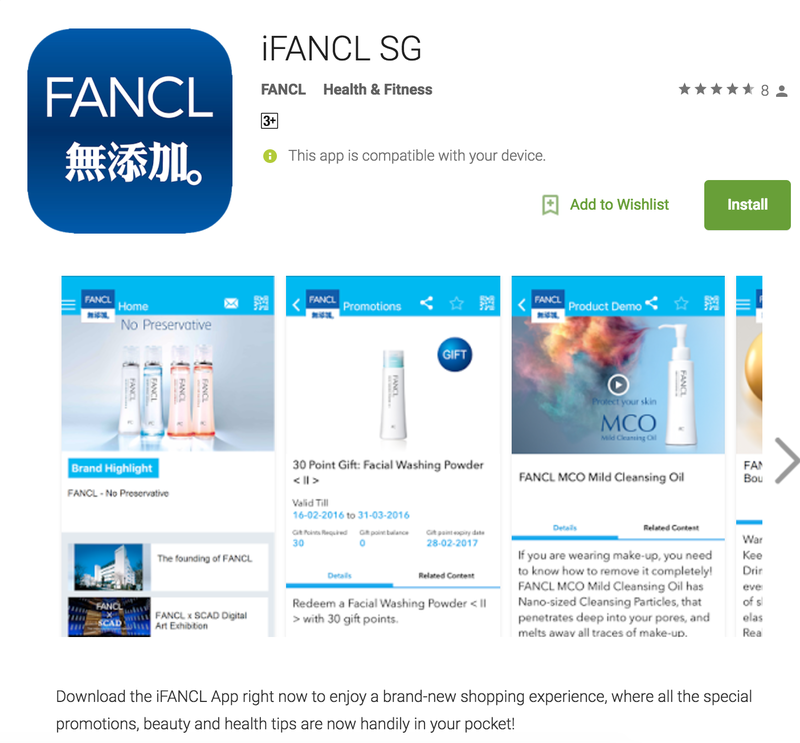 For first timers, you can also enjoy complimentary hand massage from FANCL beauty advisors when you sign up free membership on iFANCL SG app (details below). Enjoy complimentary hand massage and receive a $10 e-Voucher upon sign up for new members!